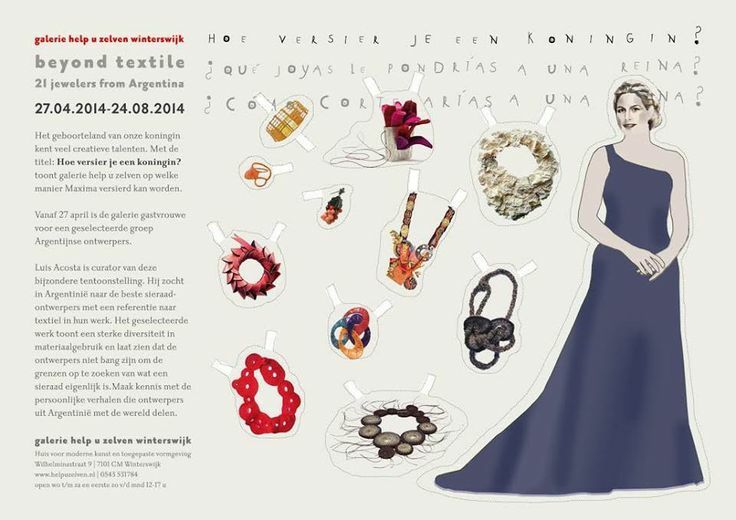 This exhibition gathers a series of pieces produced by twenty-one Argentine designers. 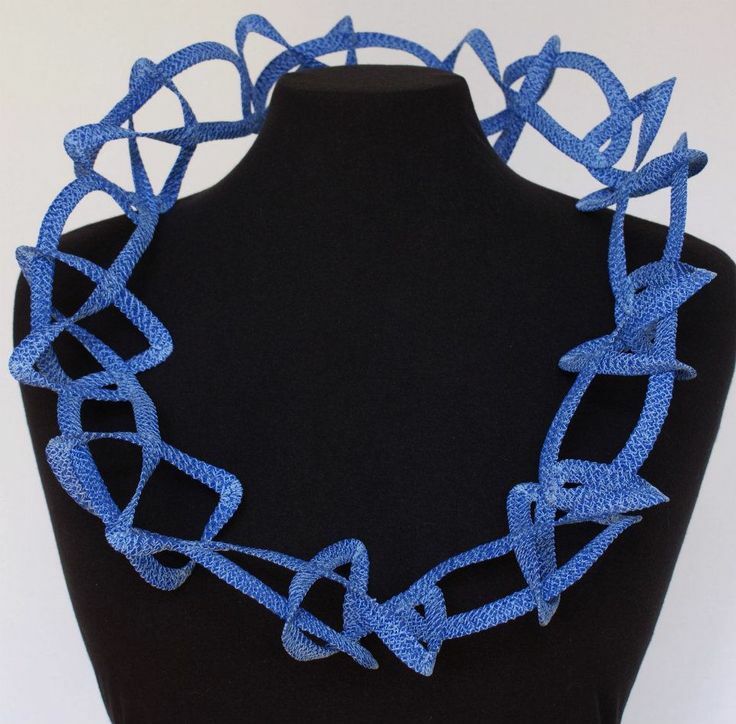 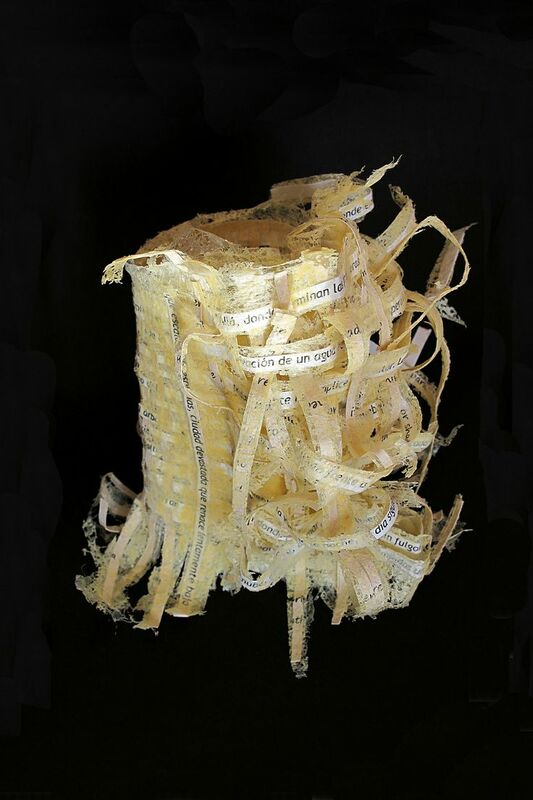 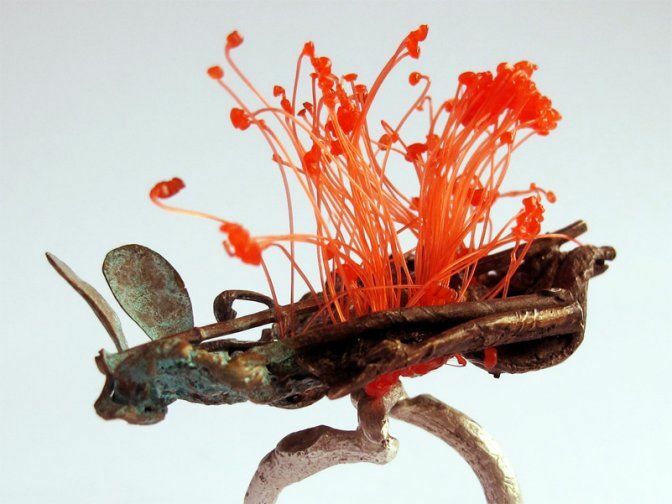 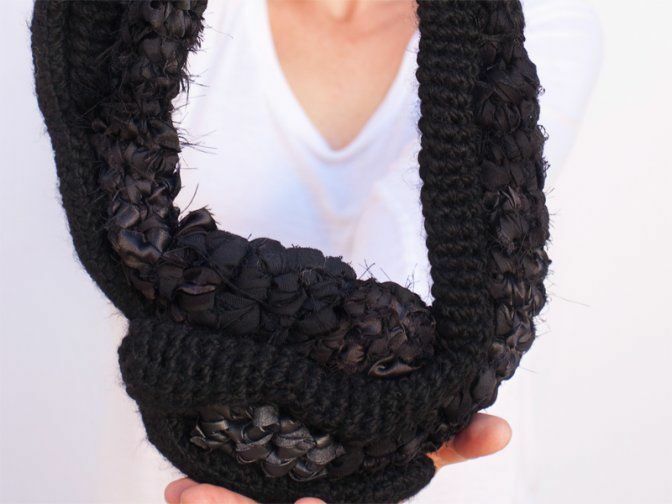 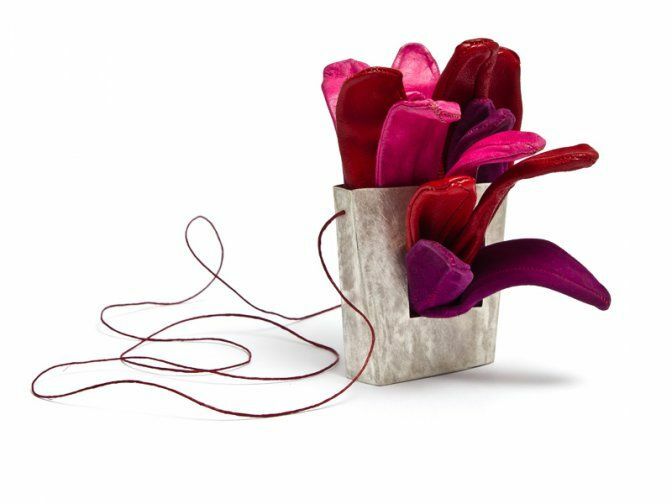 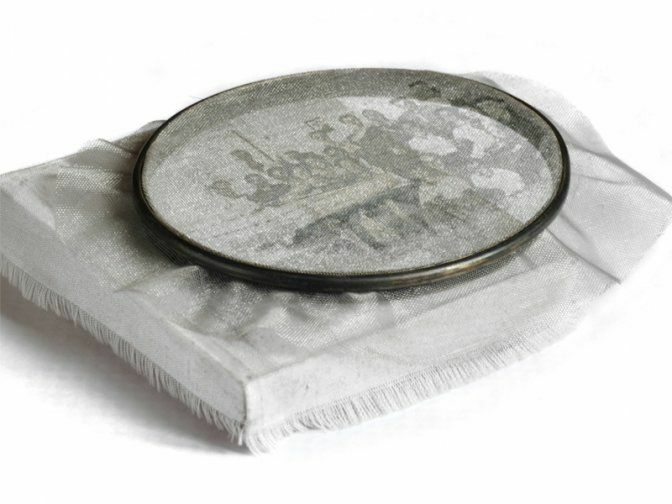 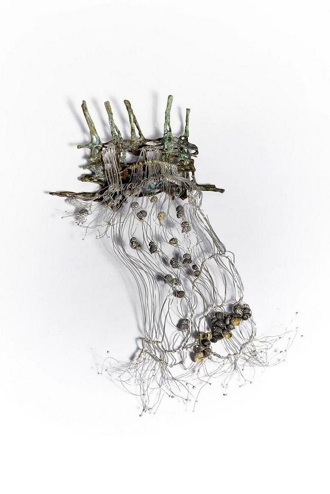 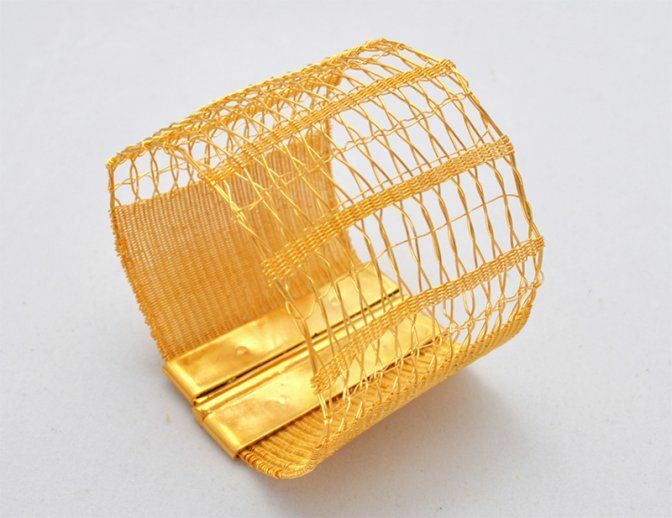 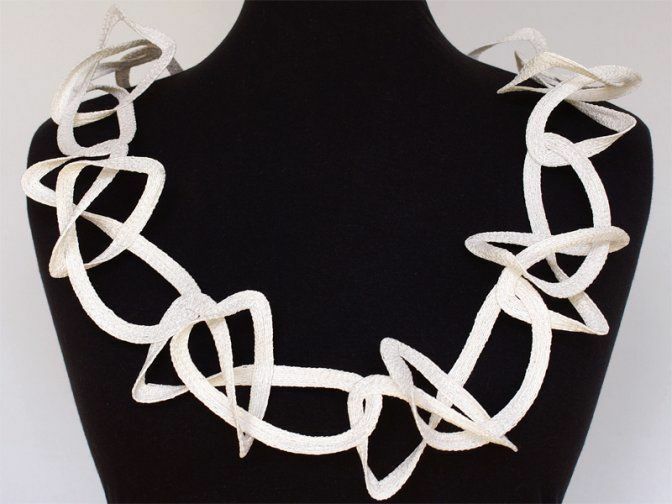 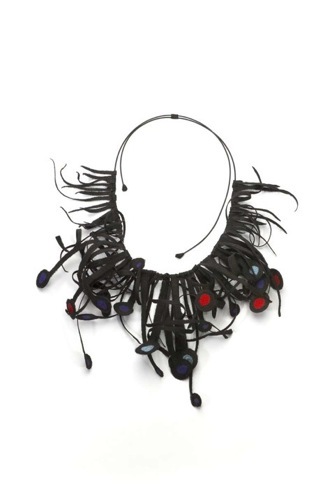 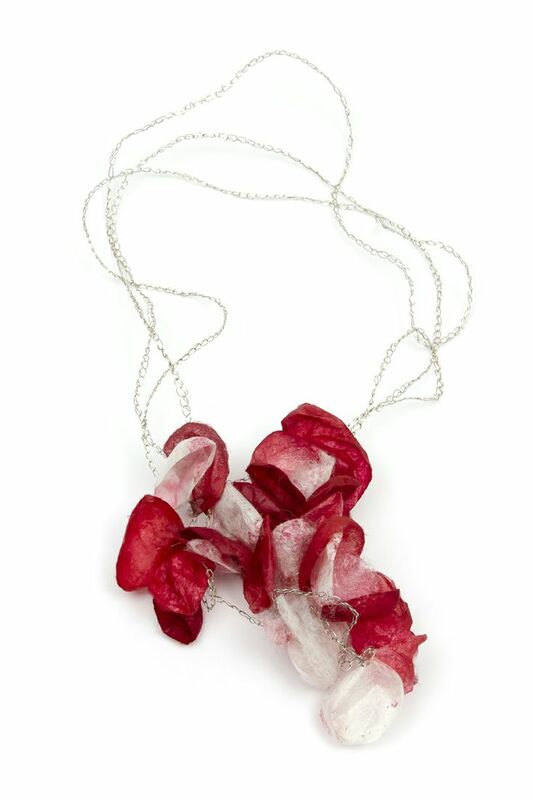 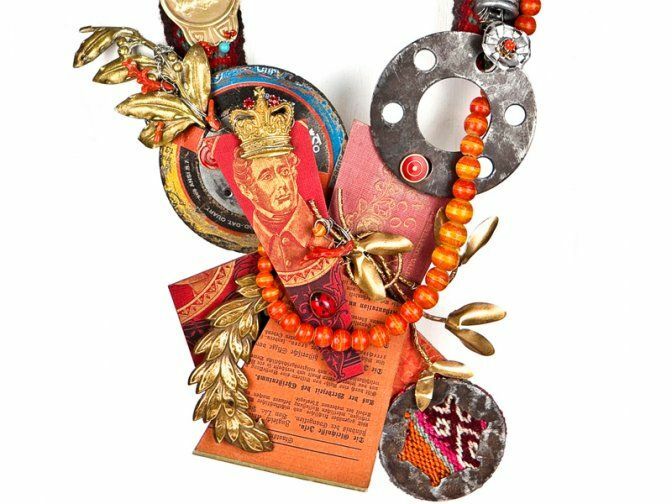 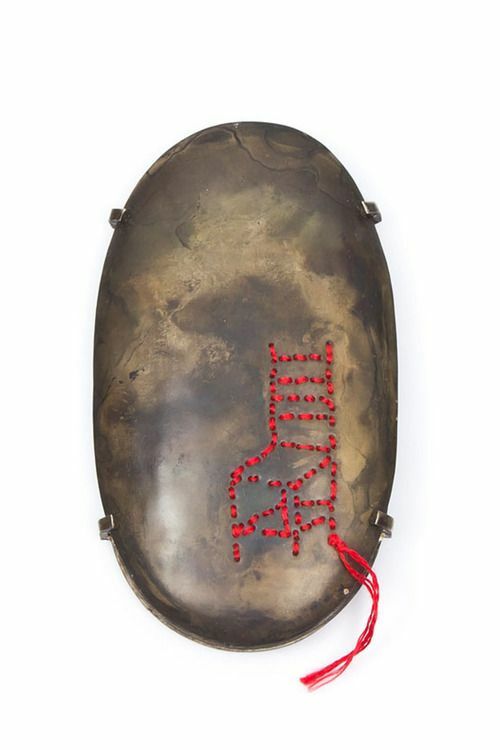 It consist of a variety of works that, even if they have contemporary textile jewelry genre as a strong reference, they often transcend it and play with its borders and limits using their own individual expressive resources. 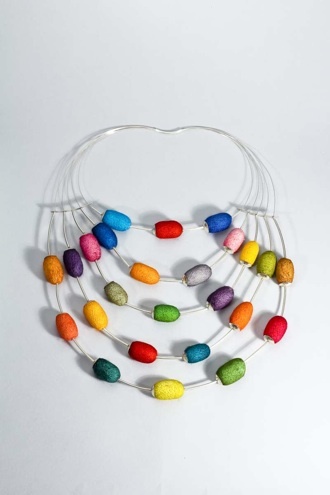 Thus, we can see how shapes, textures and colors are expressed in a variety of materials and techniques in which also arises the peculiar relation notions on the human body as a carrier, in some cases, since there are pieces that step aside from this requirement of traditional jewelry´s typical function: be worn by someone. 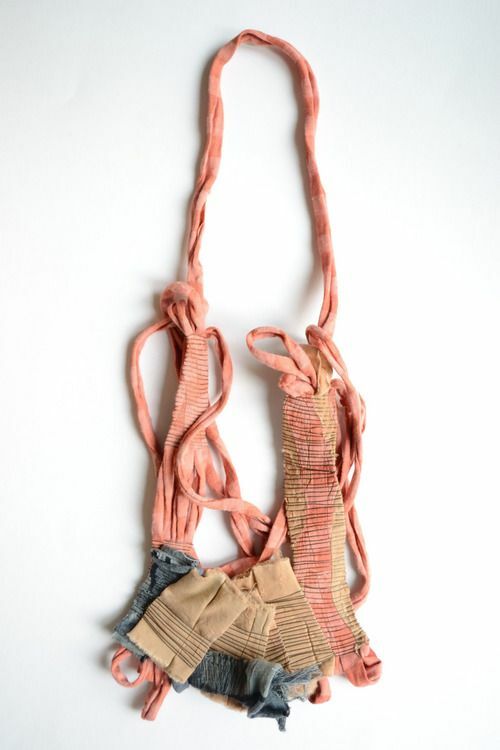 Sabina Tiemroth Ciudades invisibles III / 2013 Collar / Textil de descarte / Alpaca / Costura / Construcción / Coiling / Oxidación / 37 x 15 x 1cm. 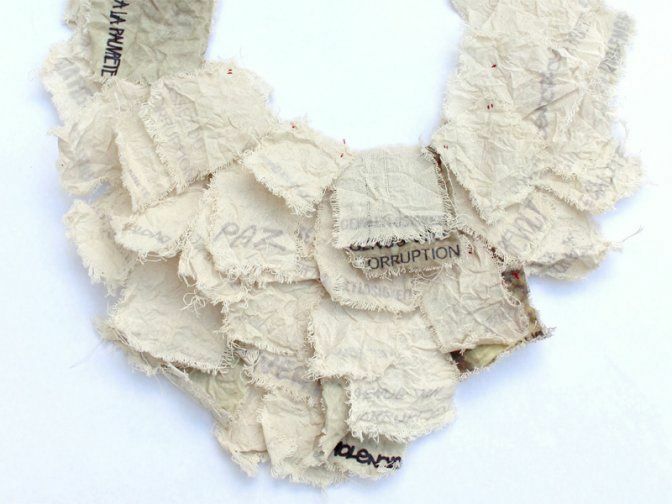 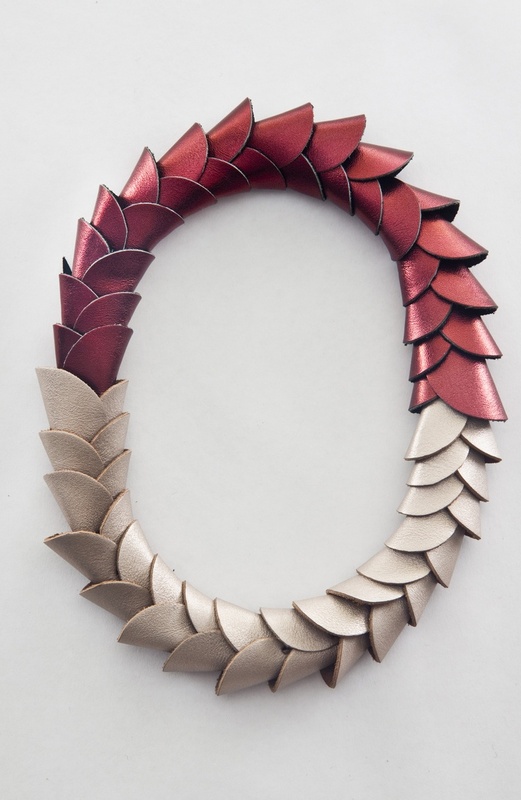 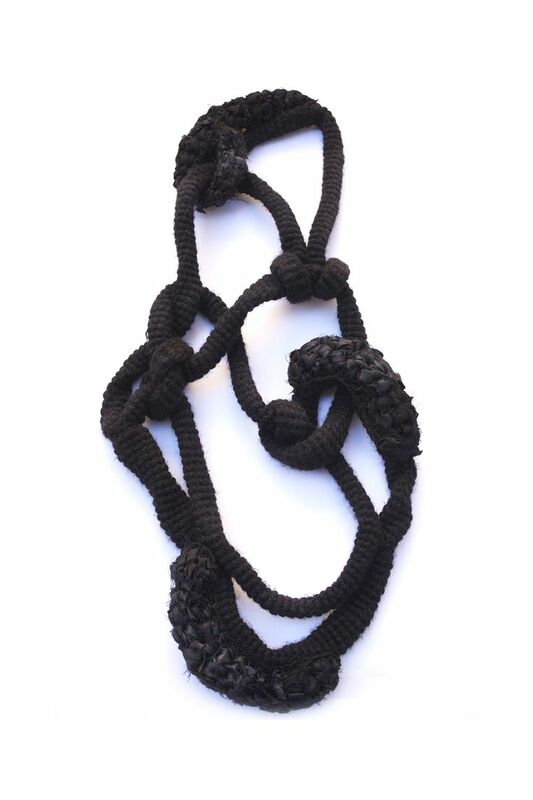 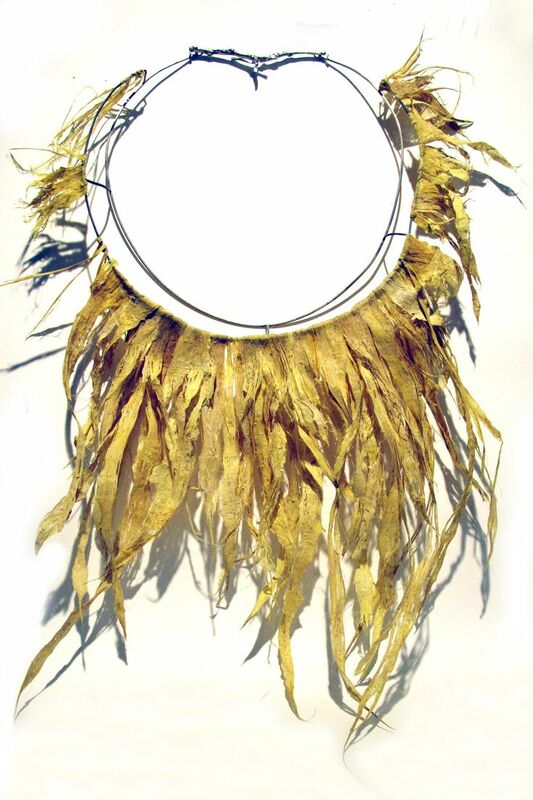 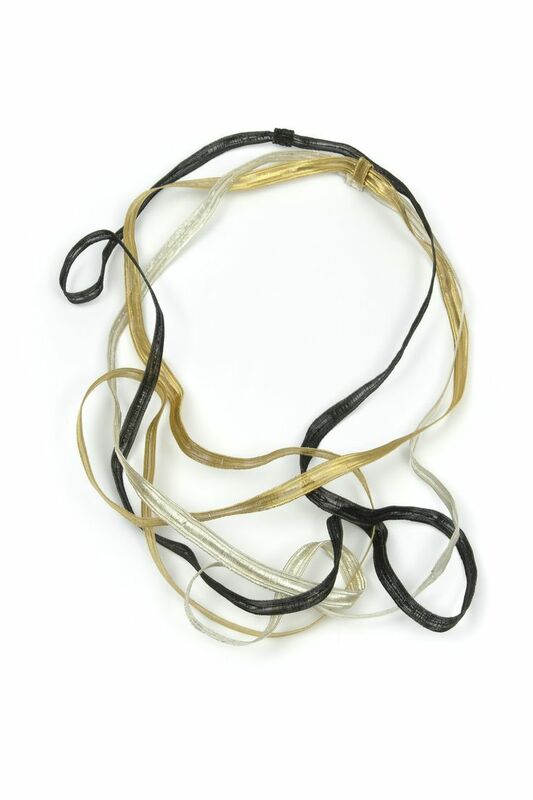 Invisible cities III / 2013 Necklace / Fabric recycled / Alpaca / Sewing / Coiling / Oxidation / 37 x 15 x 1cm.